Blockchain & Cryptocurrency: to Trust or Not to Trust? Christophe r Matta co-founded Crescent Crypto Asset Management to bring cryptocurrencies to mainstream investors through an institutional, passive vehicle. He has managed over $7 Billion in AUM as a Vice President in the Goldman Sachs Investment Management Division and developed big data analytics and portfolio management technologies. David Sorin is pa rtner of McCarter & English and Co-Chair of the Venture Capital & Emerging Growth Companies practice. He focuses on startup, early stage, emerging growth, and middle market technology, tech-enabled and life science enterprises. Dave and his team are thought leaders in blockchain, smart contracts and cryptocurrencies, advising to both utility and security tokens, SAFTs and ICOs. 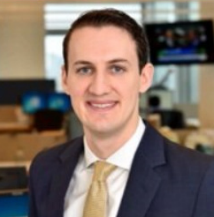 Ben Pace is the Chie f Investment Officer, leads the firm’s Investment Committee and is a member of the Executive Committee. Prior to joining HPM Partners, Ben was Chief Investment Officer and Head of Global Investment Solutions for Deutsche Bank Private Wealth Management in the U.S. 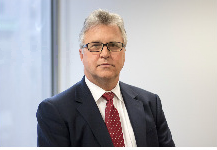 He has more than thirty years of experience in investment management.